Over the last few days, I have received mails and calls from some green warriors who have just initiated or already championing segregation at source in their communities. They were concerned about the high cost involved in sending sanitary waste for incineration through Semb-Ramky or Maridi—the two authorised destinations where hazardous waste including hospital and sanitary waste, among others, gets incinerated. An ideal world situation: Only proper segregation tells you how valuable each stream of waste is. 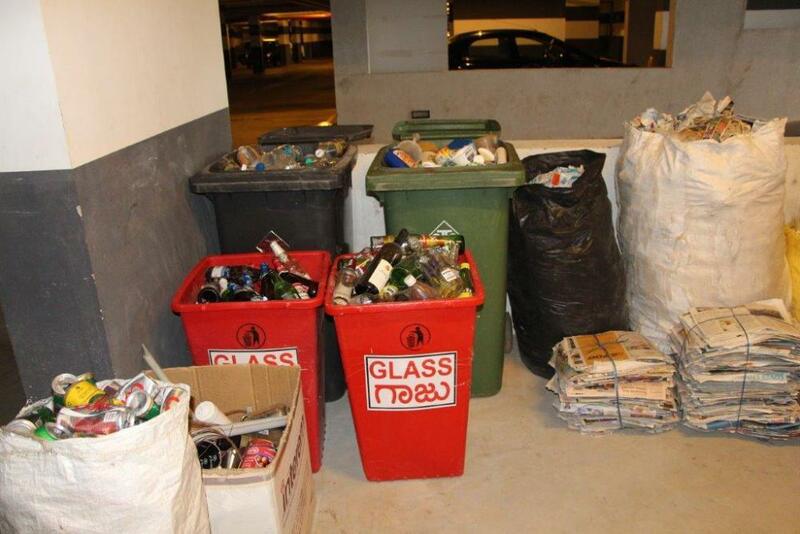 More than 95% of the waste can be recovered and sent for recycling. When composting and dry waste disposal were well in place in my community Sobha Althea-Azalea, the last item on the agenda was to send sanitary/bio-medical waste for incineration. Before broaching the topic to the management committee, a 10-day waste audit was done this January. A list of the items that go into this category of waste: Sanitary napkins, disposable diapers, adult diapers, tampons, condoms , bandages and any material contaminated with blood and bodily fluids, syringes, needles, expired medicines, nail clippings, fallen hair, swept-up dust, etc. When the audit was on, of the total 202 homes, 135-140 were occupied. The audit revealed some surprising facts: On some days, the quantity was as low as 3.5 kgs per day or 5 kgs, maximum. I am not trying to project this as a standard for all apartments as the demographic makeup can be different, but I can say for sure that the numbers cannot be drastically different either. Put simply, the quantity of sanitary waste depends on the quality of segregation. Do not get intimidated by the number of items listed here. It takes not more than a week to make segregation a habit. I sincerely doubt if there were any mistakes during the audit. In our community, all the three streams of waste bins —kitchen, dry and sanitary—head towards the compost room. 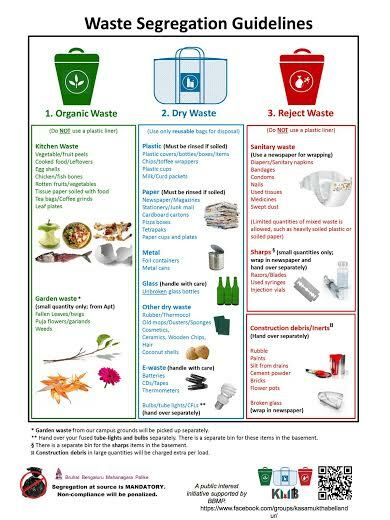 Here, kitchen waste is taken out for composting and dry waste undergoes secondary segregation. Only a small bag of reject dry waste consisting of multi-layered Kurkure or Lays packages and heavily soiled plastic bags and a few other non-recyclable items go into the BBMP truck. I got sanitary waste weighed right at this spot and the quantity recorded. For some reason, segregation suffered in our apartment for a short while and the first telltale sign of it was the increasing sanitary waste pile. Please remember that this is the bin where mixed waste goes in when people become lax about segregation or just don’t know where to dump certain kinds of waste. After you start segregation and are happy with the compliance level and the quality of the process, please get all streams of waste weighed separately for at least 10 days or more. 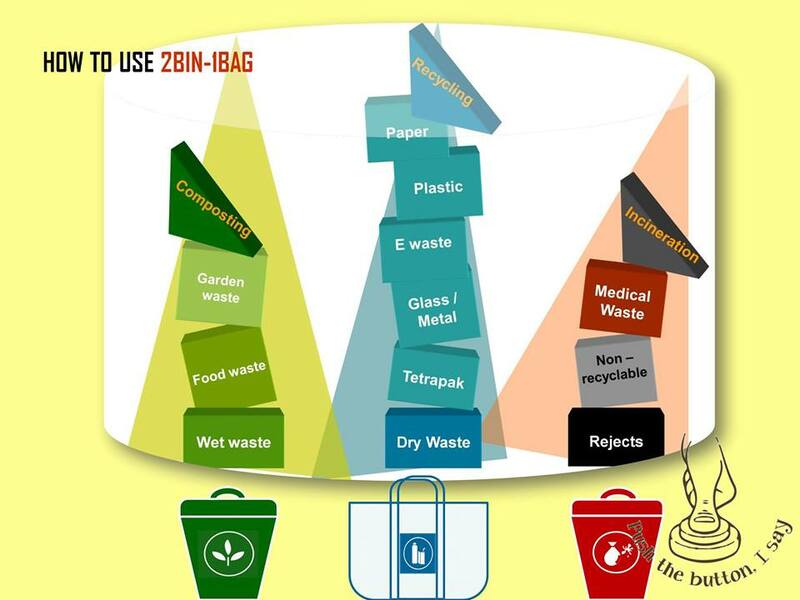 This will give you an idea to set up a composting system (if it isn’t already in place), the revenue you will generate by selling dry waste and the outgo on sanitary waste incineration. If you see the quantity of the last category going up, it’s time to plug the loopholes. Watch this space for more posts on sanitary waste-related issues at both micro- and macro-level. This entry was posted in Endlessly Green and tagged Maridi, Sanitary waste incineration, Sanitary waste incineration cost, Segregation at source, Semb-Ramky. Bookmark the permalink. Thanks Savita, this is very useful information – all in one place. Will be sharing this link, if ok.